Most actively managed mutual funds fail to beat the market, but so do so-called concentrated funds with limited positions. The virtues of diversification are facing increasing criticism. Many financial advisors espouse the virtues of diversification in investments in order to minimize risk while also growing assets, but that belief is coming under increasing criticism. Andrew Mehalko, chief investment officer of AM Global Family Investment Office, says that even “thirty names is still over-diversified.” He says that “ten high-performing” companies” can mean less risk for investors than 30 stocks because all stocks have market risk. Managers are “confusing diversification with risk management,” says Mehalko. He suggests that in addition to concentrating their portfolios to increase the potential to outperform, investors also diversify their risks for stocks, currencies, interest rates, liquidity, inflation, leverage and managers. Most actively managed mutual funds don’t beat the stock market consistently. An S&P/Dow Jones study, reported recently by The New York Times, found that hardly any funds in the top 25% for the 12 months following the market trough in March 2009 placed in the top quarter for the next four rolling 12-month periods. Last year only 10% of equity mutual funds outperformed the S&P 500. And most managers of concentrated funds fail to outperform. 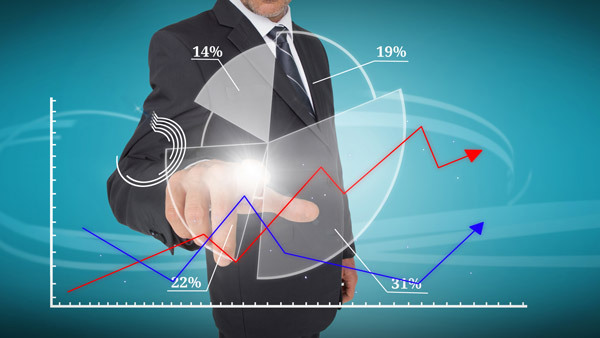 Only 22% of 717 U.S. equity funds with 40 positions or less placed in the top quartile for the three years ended April 24, according to S&P Capital IQ Global Markets Intelligence. Of those with 30 positions or less, only 15% placed in the top 25%. Data from Morningstar show that on average concentrated funds in all major equity categories — small, mid- and large-cap crossed with growth, value and blend (growth and value) — underperformed the average for their category for 1, 3, 5 and 10 years. “Being a focused fund doesn’t necessarily give you an edge,” said Russ Kinnel, director of fund research. It depends in large part on the fund manager. “A more focused portfolio will magnify the value add and manager skill. Not all managers are that skilled,” says Kinnel. Even Nygren, who has had many more good years than bad, underperformed the broader market last year in the Oakmark Fund (OAKMX). And Bill Miller, the storied manager of the Legg Mason Value Trust (LMVTX, now the ClearBridge Value Trust) who had a 15-year winning streak until 2005, famously underperformed after he bet heavily on housing stocks just as the housing crisis began. He’s no longer managing that fund, but the Legg Mason Opportunity Trust Fund (LGOAX) that he’s currently managing has been beating its benchmarks and most of its peers. “Most investors I’ve known who’ve been concentrated do really, really well, but when they blow up they blow up,” says Thomas Vandeventer, portfolio manager of the Tocqueville Opportunity Fund (TOPPX), which holds more than 200 stocks in its portfolio and which Morningstar ranks as the No. 1 mid-cap growth fund year-to-date and for one year.